Black Star Pastry produces possibly Sydney’s most instagrammed dessert – and now Melburnians have the chance to try the famous Strawberry Watermelon cake. Black Star Pastry opens the doors of its pop up store in Carlton tomorrow Monday 20 February. I was invited to preview the store and can report that the desserts and savoury pastries that I sample are de-li-cious. Black Star Pastry‘s cakes are basically fine-dining desserts. You’ll find the same sophistication in the combination of flavours and cooking techniques and a commitment to quality ingredients. No artificial flavouring, colouring or preservatives, green sustainable packaging and friendly passionate staff complete the package. The Strawberry Watermelon cake consists of two layers of crumbly almond dacquoise (the owner Christopher The said that he really loves to work with dacquoise so it appears a lot in his creations), rose-scented cream, watermelon, strawberries, pistachios and dried rose petals. It’s sweet, fragrant and very prettily presented (hence the Instagram love). The other sweet I try is the Lemon Zen cake, which consists of layers of pistachio ganache, white chocolate mousse, lemon curd and crunchy pistachio dacquoise. I enjoy the textural contrasts and slightly tangy flavours. At the moment the Melbourne store will only be selling their core range of sweets but I hope that the savoury options will be part of the menu in the future. I highly recommend their lamb shank pie! The pastry is flaky and light and flies away with a bite and a breath. They will also open their online store to Melbourne customers so you can order full cakes. 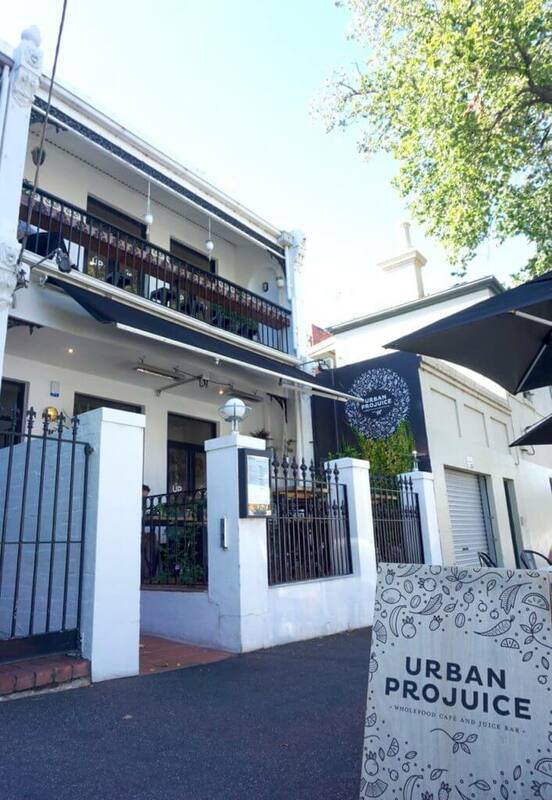 The pop up store will be open for 3 months, with a potential for staying longer depending on their Cafe Italia neighbours, who have hived off their old store room to turn into Black Star Pastry‘s kitchen and some of the outdoor courtyard and undercover area for seating. 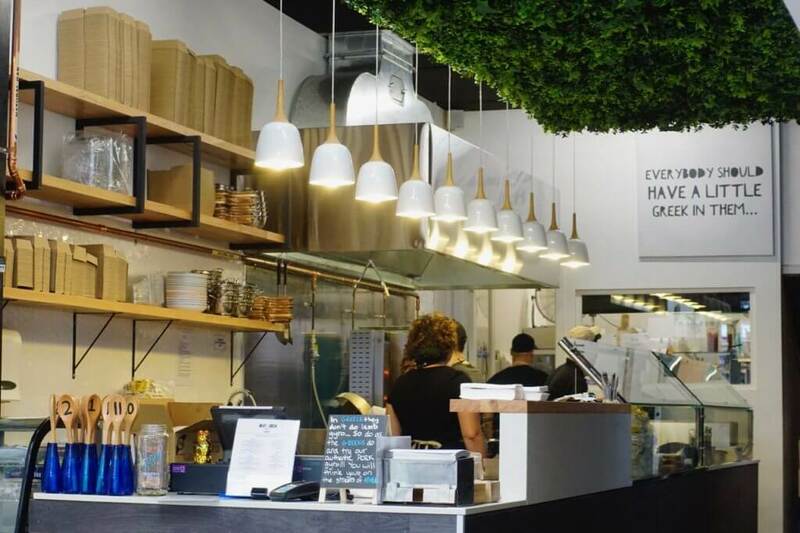 Melbourne foodies, go and make their pop up a success so that they can be convinced to stay! To celebrate the opening of their Melbourne store on Monday 20 February they are offering 50 FREE pieces of their signature Strawberry Watermelon cake with any tea or coffee purchase. Peninsula Hot Springs is a natural hot springs and day spa centre in Fingal on the Mornington Peninsula. It’s the perfect place to relax and recover after the post-Christmas madness. The general Bath House bathing area features over 20 open air natural thermal mineral pools set out over a hillside. Each pool has a different theme and with water ranging between 37°C and 43°C. The mineral springs are said to help skin conditions, improve circulation, alleviate muscle stiffness and articular rheumatism. You can move from pool to pool and enjoy features such as the cave pool, reflexology walk, Turkish steam bath (Hamam), sauna, cold plunge pools and massaging thermal mineral showers. Head first to the stunning hilltop pool where you relax in the warm water while admiring the panoramic views of the Mornington Peninsula. It’s a unique and amazing experience and shouldn’t be missed. After 10am it’s for adults only. If you are likely to be moving from pool to pool frequently then a bathrobe (rather than a towel) is essential – it can be very cold and breezy as soon as you get out of the water. Don’t worry if you forget your water bottle – it’s important to keep hydrated but there are water fountains around and it’s one less thing to carry. Those without young kids can enjoy The Spa Dreaming Centre. It is reserved for guests 16 years or older and offers a choice of thermal mineral pools, indoor private bathing pavilions, outdoor private pools, saunas, a Hamam and spa treatments. During peak times (Friday to Monday and holiday periods) it is essential to pre-book your bathing. Bookings are also recommended during off-peak times to prevent disappointment. Peninsula Hot Springs is a unique place to bathe, relax and dine just 75 minutes from Melbourne CBD. Go early in the morning or late at night for a quieter, more serene experience – you could even time it for sunset or sunrise for the best views. The Bath House 7:30 am till 10 pm daily. The Spa Dreaming Centre 8 am to 9 pm daily. Full schedule of fees here. 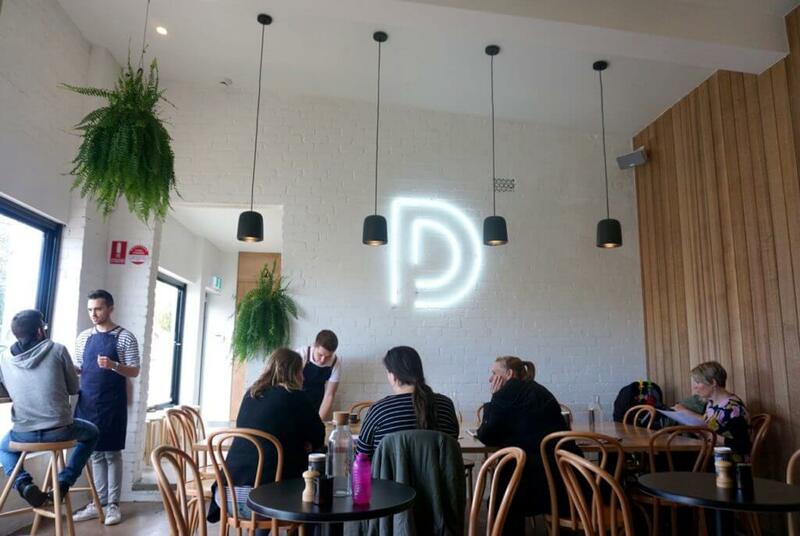 Dumbo is presumably named after the funky area in Brooklyn (short for Down Under the Manhattan Bridge Overpass) rather than the big-eared elephant, and as such it’s the perfect name for a cafe that is part of the rapid gentrification in West Footscray. The on-trend cafe transforms a building that is notorious for previously housing a clothing sweatshop. It’s in a prime position next to Footscray West Primary School so I guess it is just a matter of time before the outworkers are moved on and the coffee machine is brought in. 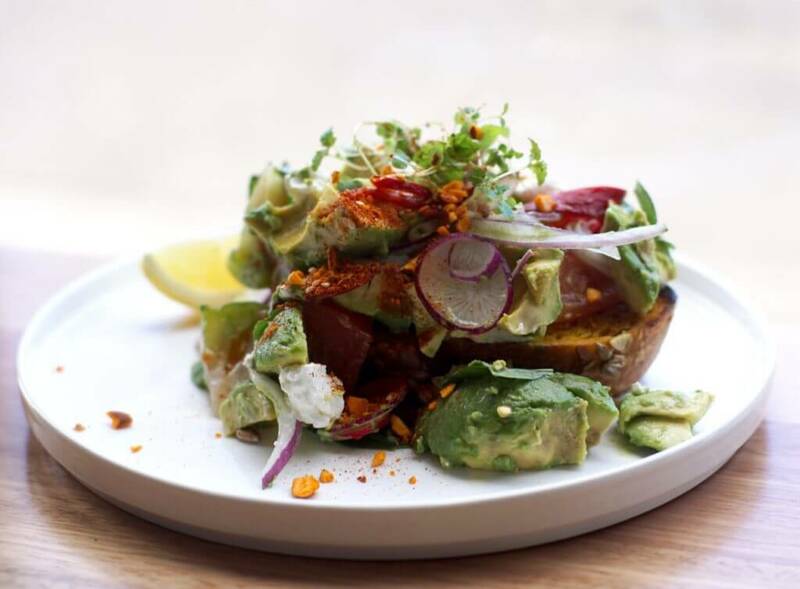 I try the avocado smash piled high with with heirloom tomatoes, goats cheese, red onion, watermelon radish and almond dukkah ($16.50). It’s fresh, light and satisfying in its proportions. You generally can’t go wrong with a dish like that if you stick to simple and good quality ingredients. Doughnuts for breakfast are completely ok for breakfast if they come with fruit, right? These fried balls of ricotta dough are crunchy on the outside, fluffy on the inside and dusted with cinnamon and sugar. There’s cocoa custard, caramelised banana, poach rhubarb, berries and ‘vanilla soil’ as frills ($15). Completely instagrammable! On my visit early in their opening period they were still working through issues with service and availability of menu items. Hopefully all those kinks have been ironed out now as my food is great and it’s worth returning for. 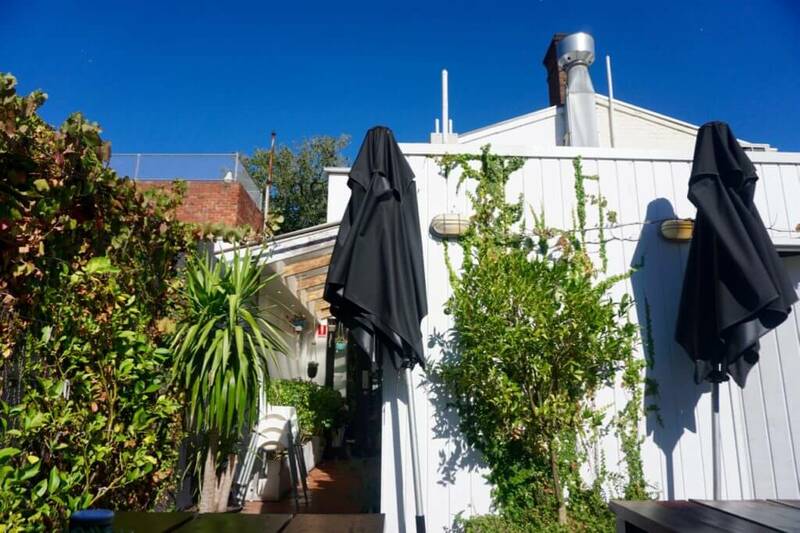 Cafe Lafayette is a Port Melbourne cafe with the fortunate aspect of 180 degree views of Port Melbourne beach, passing cruise ships and the Spirit of Tasmania. The interior reflects its surroundings with a calming palette of white, wood and soft green, blue and yellow. The all day brunch menu comprises cafe standards and Asian elements. The French toast is a thick slab of eggy bread with raspberry infused mascarpone, fresh fruit and pistachios. For $16.50 my gripe is that really it should be served with more than one slice of toast. The housemade granola is as pretty as can be and so generously proportioned that it could easily serve two ($16.50). I have the matcha hot cakes ($15.50) which are served with a very similar accompaniment to the French toast and granola – berry compote, honeycomb, vanilla mascarpone, red bean crème and sprinkling of pistachio. Maybe I am just drawn to the same ingredients but it feels a bit like menu deja vu! As they bill themselves as an ‘Asian-fusion’ cafe you will find a dim sum selection on the menu. I try one of the bao with braised pork bell, which was a bit heavy-handed in flavour for my taste though the bun casing is delightfully soft. Cafe Lafayette is also one of the few places in Melbourne where you can try a raindrop cake, a New York via Japan food trend. Essentially it’s jelly that’s lightly flavoured, not really my style but very Instagrammable! Cafe Lafayette is a great option if you’re around Port Melbourne beach and need to make a pit stop. It brings some unique flair to beach eats and makes a relaxing location for a lazy brunch. Second Home in Eltham is an award-winning cafe housed in an Alistair Knox-designed brick industrial building. 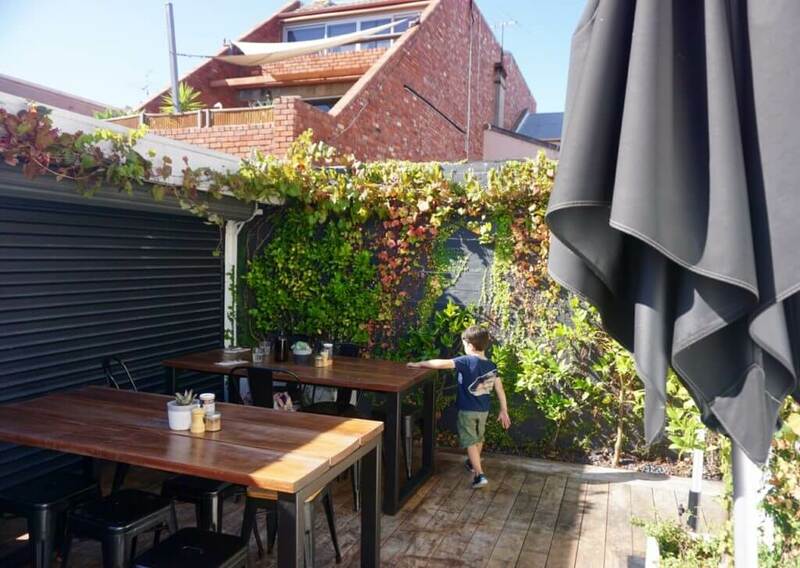 It’s the latest venture from cafe maestro Jason Jones (The Stables of Como, Friends of Mine, Go West) and well worth a special trip to the leafy ‘burbs. Formerly a factory, workshop and gallery, Second Home has taken the bones of the building and transformed it into a light-filled, expansive dining room, courtyard and art gallery set amongst the gum trees. The kind of stylish, warm place that we WISH we could call home. I adore the olive tree taking centre stage. 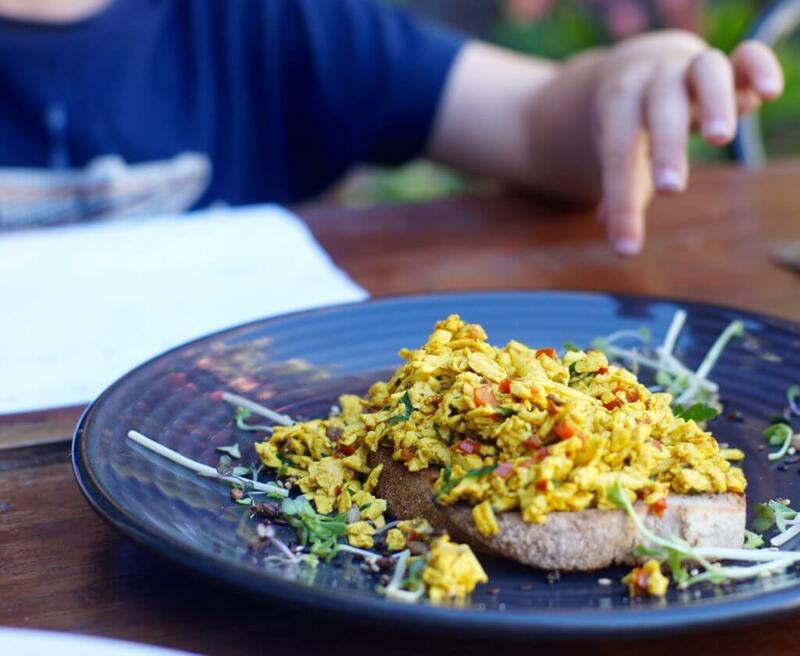 The menu is large and shares many similar traits to menus of Jones’ other cafes, with separate sections for bready things, healthy things and eggs and sprinklings of cheekiness. Lunch is a build-your-own affair with a rotation of proteins and salads as well as main meals. A lighter menu has just been installed for spring/summer but I crave the dark hot chocolate from the winter season. Luckily they are still serving it (while there are still some marshmallows left) and the huge huggable mug of slick chocolate is soothing to the soul. Those needing a caffeine hit will note that the coffee is made with Rosso beans, a supplier for most of Jones’ cafes. I also try the pink dragon fruit bowl of banana, kiwi, berries and buckinis. It’s like a smoothie in a bowl so on my waitress’ recommendation I add the optional granola ($4) for textural crunch. The hot cake comes straight off the pan, fluffy and warm and topped with berries and mascarpone and maple syrup on the side. On your way out grab something to go from the mini-providore filled with baked goods, sweet treats and posies. Second Home brings inner city cool to the suburbs in a uniquely beautiful setting. If you’re not local Eltham makes an enjoyable day trip with Montsalvat art precinct just a short drive away .